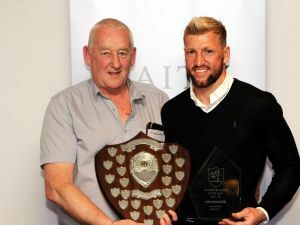 Organisers behind this year’s Raith Rovers End of Season Awards Evening have been working hard to finalise arrangements for the event, which is being held on Saturday 27th April at the Dean Park Hotel. There are multiple awards, including Manager’s Player of the Season and Goal of the Season (voted on the night after watching the short-listed goals on the big screen). We are now accepting votes for Supporters’ Player of the Season. Paper voting took place on Saturday at Stark’s Park. If you didn’t fill out a form then, you can now vote by using the form below (click here if it doesn’t work). Online entries are being accepted from today until 6pm on Saturday 30th March. One vote per person (voting more than once will invalidate all votes).